photosource: AmigaShop.org – First Amiga Joker issue release since 1996! It’s back! 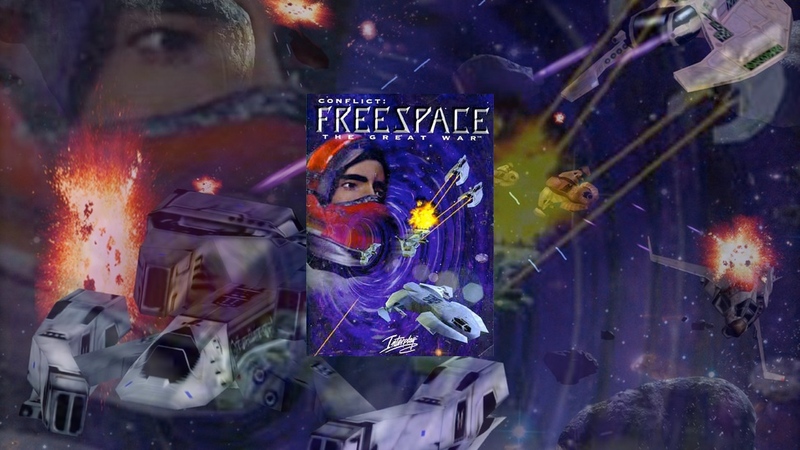 For the very first time since 1996, Germans most Arcade alike Amiga magazine like Amiga Format is back thanks to the brilliant folks at APC&TCP. I remember getting this when traveling over the border to Germany back in the days. This magazine had so much colors and illustrations that you hardly needed to understand German. A great read for a Amiga user like me for sure! Including Amiga Future. 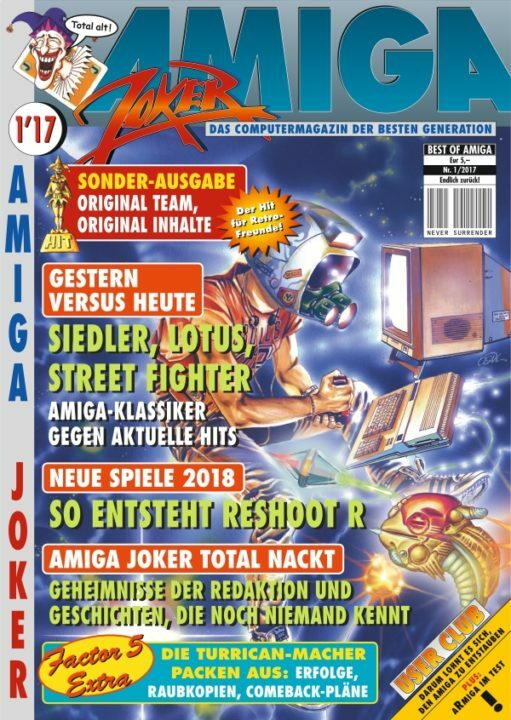 Now Germans have yet another Amiga magazine called Amiga Joker. It’s simply back from the ashes and is a sign of how good the Amiga market is in Germany compared to other places. When you have a market that can take 2 paper magazines in 2017, then the market is strong. Fantastic News! A completely new German edition of the Amiga Joker magazine was available in limited edition at Amiga32 in Neuss, Germany. Totally freshly prepared by the original Amiga Joker team, in the original Amiga Joker layout. Amiga Joker is is Back in Germany! It’s simply a issue made from the Amiga Joker enthusiasts to fans. Incredible reunion for sure. 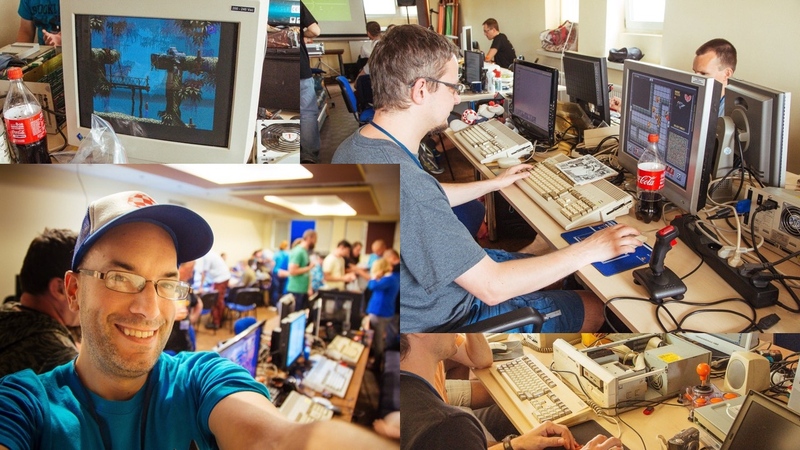 It just shows that anything is possible in the Amiga community. The Amiga Joker was Germany’s first and largest trade magazine for Amiga’s and enthusiastic gamers from issue 11/1989 to issue 10-11/1996 through their refreshing writing style, the unmistakable reviews and its unbeatable authors. So it comes that even today many still wait for the next issue. New Amiga Joker Issue on sale Now from APC&TCP which is 44 pages thick!